Losing weight is hard! You try to do everything you can to lose weight, and yet those pounds don’t want to be shed. You wonder what to do now; will you ever lose the weight, or will you be doomed to live this unhappily forever? Weight Zen, a weight loss clinic in New York, wants to empower you. We want to tell you about gastric sleeve surgery, so you know your options when it comes to weight loss surgery. If you’re unhappy, we can help you do something about it. If you haven’t considered gastric sleeve surgery, then perhaps you should. We want you to find your inner peace and happiness. To do that, check out the following information on gastric sleeve surgery and see if it’s right for you. The gastric sleeve surgery, also known as the vertical sleeve gastrectomy, is a weight loss surgery that removes a large portion of your stomach. This surgery may also be the first stop before you get a gastric bypass surgery, or it may be the only surgery you get for weight loss. The gastric sleeve surgeon makes a small stomach “sleeve” (hence the name) using a stapling instrument, and then they remove the rest of your stomach. The point of this procedure is to regulate your food intake to help you lose weight with the decreased size of your new stomach. A VSG surgery, which is what it’s also known as, may take 60 to 90 minutes. Is A Gastric Sleeve Surgery Right For You? These surgeries help people who are suffering from obesity and diabetes lose weight. 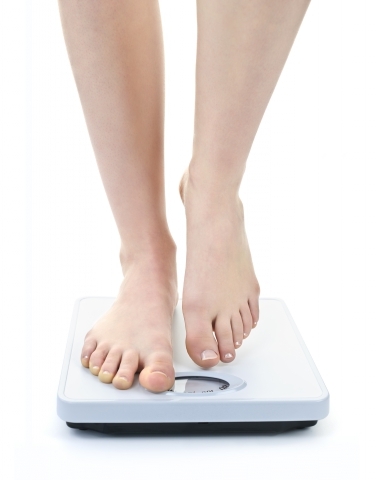 Are you unhappy with your weight? If you are seriously considering this surgery, think about all of the key factors before you contact us for a consultation. Your new stomach will be the size of a banana, so it severely limits the amount of food you are able to eat. Keep in mind that your portions must be smaller, and the various types of food you eat will be different and more healthy as well. This is something you’ll work on with our nutritionist Megan Wolf. After the surgery when you eat, your small stomach will become full much quicker than before, and you’ll feel full after a small amount of food. If you want more information and are interested in getting the procedure done, please contact us to see if gastric sleeve surgery is right for you. 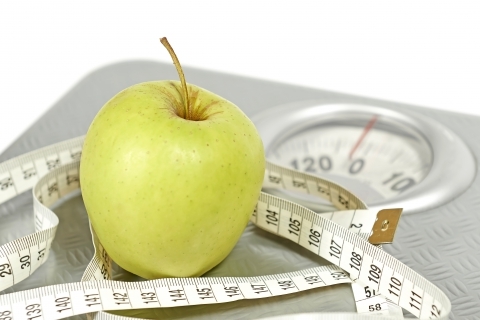 Ask A Gastric Sleeve Surgeon: How Much Weight Will You Lose? There was a time, not so long ago, when the weight and shape of your body wasn’t something that could easily be changed. If you had a genetic, hormonal, or addiction-related problem with excessive weight gain 50 or 60 years ago, there was little your doctor could do for you besides advising (and in some cases, forcing) you to go on a calorie restricted diet. Advances in medical technology have made dealing with obesity something that you and your doctor can tackle together. Procedures like gastric sleeve surgery allow you to skip much of the waiting and wishing for your body to naturally lose weight. “Gastric sleeve surgery is an aggressive solution for obesity that’s growing in popularity. The amount of weight each patient loses after gastric sleeve surgery varies greatly, depending on a number of factors like diet, exercise lifestyle, and willingness to leave old habits behind. Your total weight loss also depends on the size that your gastric sleeve surgeon makes the new sleeve. We hoped that this has given you some insight into what’s possible with gastric sleeve surgery. Contact Weight Zen in New York City for a consultation today. https://www.weightzen.com/wp-content/uploads/2016/10/dreamstime_xxl_30183252-161011-57fd51dfec04d.jpg 320 480 Weight Zen https://www.weightzen.com/wp-content/uploads/2017/03/weightzen-logo-sm.png Weight Zen2016-10-20 20:53:262017-01-13 19:25:20Ask A Gastric Sleeve Surgeon: How Much Weight Will You Lose? Countless patients come to see Dr. Rosen at Weight Zen for his Gastric Sleeve surgery in New York. Here at Weight Zen, we take great care to ensure that all of our patients know the facts and are provided with ample information before they choose a bariatric surgery. 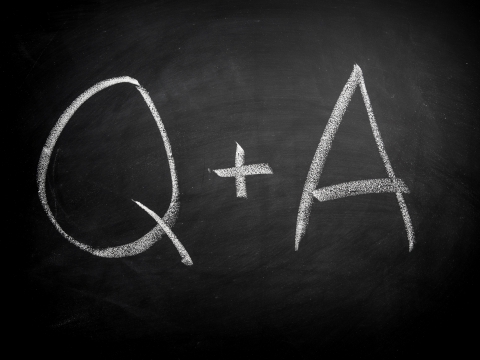 With this in mind, we’d like to answer some of our most frequently asked questions concerning Gastric Sleeve surgery. Simply put, Gastric Sleeve surgery is a laparoscopic bariatric procedure where small incisions are made to make the patient’s stomach smaller. This not only helps reduce hunger sensations, but it limits the amount of calories consumed by the patient, too, resulting in safe and healthy weight loss. The ideal candidate for Gastric Sleeve surgery is someone who is obese, generally with a BMI greater than 40. Typically, they’ve already tried other methods for losing weight without success and aren’t able to achieve a healthier BMI on their own. Those who suffer from diabetes or are at risk for heart disease are also great candidates for bariatric surgery. What are the benefits of Gastric Sleeve surgery? It’s minimally invasive as we used laparoscopic techniques. High rates of patient satisfaction and success. The possibility to treat diabetes and prevent cardiovascular diseases. How Can You Learn More About Gastric Sleeve Surgeries? Contact Weight Zen today and schedule an appointment with Dr. Rosen and nutritionist Megan Wolf, who will assess your situation and go over all of your options with you. Dr. Rosen is a leading minimally invasive bariatric surgeon who has performed countless Gastric Sleeve surgeries in New York. He has helped many people achieve a healthier overall lifestyle while losing the weight they need to lose. It’s important to know the potential risks involved with bariatric surgery. With that in mind, we’re going to take a closer look at the issue of dehydration and how it can play a part in the Gastric Sleeve surgery. 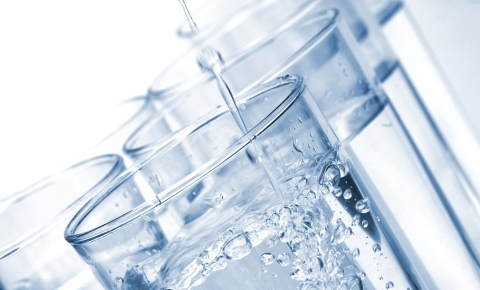 Is Dehydration Really A Potential Risk After Gastric Sleeve Surgery? Yes! Dehydration is a serious risk that needs to be considered by patients who are adjusting to their new diets and lifestyles after their Gastric Sleeve surgeries. We see countless patients who have each undergone bariatric surgery only to notice that they’re not staying well-hydrated. This is one of the potential risks of bariatric surgery and is something we’ll cover in depth during our consultations. Why Does Dehydration Occur After Gastric Sleeve Surgery? After bariatric surgery of any kind, patients find that they often experience fewer sensations of hunger and thirst as a direct result of a smaller stomach. In turn, patients tend to end up eating and drinking less, which is great for their weight loss, but not so good for their hydration efforts. As patients recover from their Gastric Sleeve surgery, they must be careful to stay hydrated and pay attention to their bodies so that dehydration and nutritional deficiencies don’t occur. Additionally, since it is not recommended to eat and drink at the same time, it’s vital that drinking occurs outside of meal times. If you’re severely dehydrated, simply drinking large amounts of water will not help. You will need IV hydration at a medical facility. If you notice several of the symptoms above, it’s imperative that you seek immediate medical attention as quickly as you can. The best way to prevent yourself from becoming dehydrated after your Gastric Sleeve surgery is to drink water regularly with meals and in between meals. We recommend drinking 64 ounces of water a day, but this can vary depending on your physical exertion and how dry it is where you live. We recommend small, frequent sips. Guzzling will not work. Take sips of water throughout the day to ensure hydration. Do not substitute liquid calories in sugary beverages for water. Remember, you must be mindful of what you’re putting in your body and what it needs throughout the day, especially after bariatric surgery. Dr. Rosen has performed countless successful Gastric Sleeve surgeries in New York. People from all over the area come to Weight Zen for his quality work, great bedside manner and success rates with patients. Have you experienced hiccups after undergoing Gastric Sleeve surgery? Even things that are good for us can leave behind some unexpected side effects. It’s highly likely you’ve experienced a case of the hiccups after a couple drinks, or they may spontaneously come at random points during the day and only last a few minutes. These diaphragm spasms can occur for a variety of reasons, and while they’re certainly not serious, they’re absolutely annoying. This can be especially true when they happen frequently, which is oddly something that many bariatric surgery patients experience. Hiccups can be mysterious even for those who have undergone weight loss surgery. There have been some suggestions in the surgical weight loss field that eating too quickly or too much can be the culprit. However, this isn’t always the case for all bariatric surgery patients, but it is a common thread among complaints. With that in mind, there are several useful ways to prevent those pesky hiccups or at least get rid of them once they’ve started. Once you’ve undergone Gastric Sleeve surgery, it’s imperative that you eat your food slowly. Savor your food, chew thoroughly, and really enjoy each and every meal that you eat. This will allow you to see that you’re full sooner, and you’ll avoid overeating. When you simply slow down and enjoy your meal, you’re avoiding a number of issues associated with bariatric surgery. Eating too much and eating too fast does not yield positive results. Notice frequent bouts of hiccups? Retrace your steps and try pinpointing the common denominator with each case. Did you overeat? Did you eat too quickly? Maybe it was something specific that you ate? Since you’ll want to pay attention to your body and it’s needs, this is helpful to consider. You can even keep a food journal to help determine what’s causing your hiccups. We’ve stressed countless times on our blog that bariatric surgery requires a change in your lifestyle and that it can be a difficult transition for a while, but it’s ultimately worth it. That’s why we’re more than happy to include tips for what to expect after your weight loss surgery, including advice on exercise and dieting as well as other matters. This is how we ensure all of our weight loss patients are happy and healthy. Are you overwhelmed by the amount of weight you need to lose? Stop putting it off. Contact Weight Zen today using the form below, to speak about your bariatric surgery options. We’re here to help! https://www.weightzen.com/wp-content/uploads/2016/12/surgical-1.jpg 533 800 Weight Zen https://www.weightzen.com/wp-content/uploads/2017/03/weightzen-logo-sm.png Weight Zen2016-07-03 20:55:292018-02-27 19:28:42Do You Get Hiccups After Eating As A Gastric Sleeve Patient? Dr. Rosen is a leader in Gastric Sleeve surgery in New York, attracting patients from all across the state who need surgical weight loss help. Here at Weight Zen, we use state-of-the-art bariatric surgery procedures to help patients lead better and healthier lives and achieve a more ideal body mass. 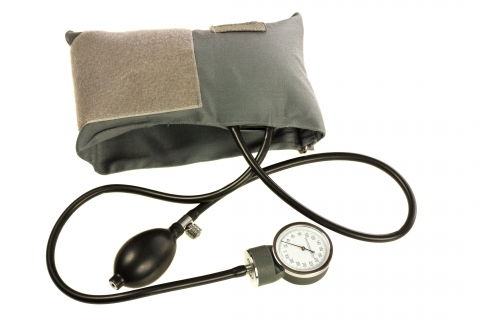 Did you know that one of the most common health problems related to obesity is high blood pressure? Today, we’ll cover this issue in more detail. High Blood Pressure & Obesity: What’s The Link? Many people who are either overweight or obese tend to suffer from high blood pressure or hypertension. While the exact source of hypertension can vary from person to person, secondary hypertension is the type of high blood pressure related to lifestyle, health, and general wellness. When people are extremely overweight or obese, they tend to have many more hormones circulating in the body, which are manufactured by the kidneys and fatty tissue. In addition to the increase of these hormones in the body, there is an increased volume of blood needed to circulate throughout the body, meaning that there must be increased pressure to keep the extra blood moving. Is Gastric Sleeve Surgery Effective At Treating Hypertension? When an obese or morbidly obese person achieves a more ideal body mass, it can go a long way in lowering his or her blood pressure and help towards alleviating hypertension. This is one of the many reasons why the Gastric Sleeve has become so popular in New York and around the country: because it is so good at improving total wellness. While the benefits of Gastric Sleeve and other bariatric surgeries are many, remember that the weight loss surgery alone will not completely alleviate your hypertension. Patients will need to lead healthier lifestyles to experience the full benefits of the procedure. After your Gastric Sleeve procedure, it’s imperative to eat a healthy and well-balanced diet in order to receive the nutrition you need to recover and feel your very best. This means eating right and eating smart. Look for foods that will contribute to your heart health and total body wellness, and obviously avoid any junk food and fatty foods that have the potential to clog your arteries, ultimately leading to heart disease. While you won’t be able to do much physical activity immediately following your Gastric Sleeve surgery, once you’re well on your way to recovery, your bariatric surgeon will be able to recommend some great low impact exercises. Physical activity and exercise is very important as it not only improves the amount of weight you can lose, but it also keeps your weight from coming back while improving your cardiovascular health at the same time. When it comes to improving your health and overall quality of life, undergoing bariatric surgeries like the Gastric Sleeve procedure at Weight Zen in New York is a great option to consider. Dr. Rosen has helped countless patients reach their weight loss goals and improve their health with state-of-the-art bariatric surgeries. Undergoing such procedures can improve your life in several different ways. With that in mind, let’s explore how the Gastric Sleeve surgery can address your Irritable Bowel Syndrome issues. Irritable Bowel Syndrome, also known as a spastic colon, is an unfortunate condition that affects the large intestine, causing pain in the abdomen and intestinal discomfort as well as several other serious issues. Sometimes, Irritable Bowel Syndrome is associated with other inflammatory bowel diseases such as Crohn’s disease and ulcerative colitis. While the exact cause of Irritable Bowel Syndrome can vary from patient to patient, research has found several common links between food allergies, family history, mental stress, and hormonal changes/imbalances. 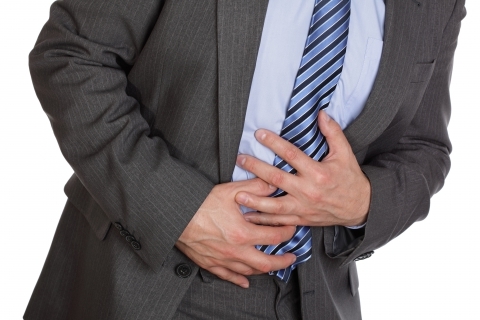 Does Irritable Bowel Syndrome Get Worse Or Better After Gastric Sleeve Surgery? Most patients who suffer from Irritable Bowel Syndrome find that after they undergo Gastric Sleeve surgery and other types of bariatric surgery, their IBS improves. In fact, numerous bariatric surgery patients notices that their IBS is no longer a fact for them and their symptoms are greatly reduced. We find that patients who have had issues with IBS in the past often note that they are having regular bowel movements again rather than diarrhea, loose stools, and dry stools after surgery. Why Does Irritable Bowel Syndrome Improve After Bariatric Surgery? There are a number of reasons patients may find that their Irritable Bowel Syndrome symptoms improve. 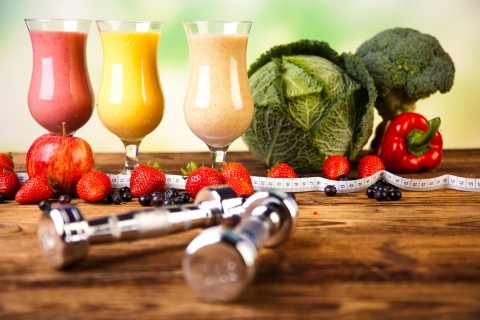 For instance, when patients undergo weight loss surgeries, they end up making quite a few changes to their lifestyles, which impact their overall health and wellness. This can include changes to their diets, overall weights, and modifications to their previously unhealthy lifestyles. All of these improvements and changes can result in a reduction of Irritable Bowel Syndromes and an overall improvement in diet and gastrointestinal health. In addition to being an excellent treatment for those suffering from Irritable Bowel Syndrome, Gastric Sleeve surgery and other bariatric procedures are a great way to improve your overall weight, treat diabetes, prevent stroke, heart disease, and a number of other serious health concerns later in life. It’s clear that weight loss surgery has a myriad of benefits other than simply weight loss, and the safety of the procedures performed at Weight Zen means that the risks are usually outweighed by the benefits. If you’re ready to take the next step in getting your life back and losing the weight you need to lose, call Weight Zen today at (212) 203-2146, or fill out the form below for more information. We’re excited to help you improve your health. If you do not have any insurance, please select "No Insurance." Simple financing options available - ask us for more information. When's a good time to call you? What diets have you tried before? https://www.weightzen.com/wp-content/uploads/2016/06/20160610-165550-dreamstime_xxl_24455997.jpg 320 480 Weight Zen https://www.weightzen.com/wp-content/uploads/2017/03/weightzen-logo-sm.png Weight Zen2016-07-01 15:33:272018-02-27 19:28:14Can The Gastric Sleeve Surgery Help Irritable Bowel Syndrome? Dr. Rosen, a leading bariatric surgeon, has been helping patients achieve results and lose weight quickly and safely through bariatric procedures, such as the Gastric Sleeve surgery in New York. A number of our patients who are interested in Gastric Sleeve surgery also have questions about their celiac disease or gluten allergies. Today, we’ll cover these matters and give a brief overview of what you need to know. Before we dive into gluten intolerance and celiac disease, let’s first explain what gluten is and give some examples of foods which contain gluten. Gluten is a protein found in wheat and grains such as rye and barley. Gluten is what lends elasticity to dough and gives bread its chewy texture. Celiac disease is an autoimmune disorder affecting the digestive tract. If you have celiac disease and eat foods containing gluten, it can result in damage to the lining of your small intestine. Not only can this result in serious digestive problems and anemia, it can cause skin rashes, body pains and cramps, ulcers, and even changes to your menstrual cycle. What’s The Difference Between Celiac Disease & Gluten Intolerance? There are differences between celiac disease and gluten intolerance. Celiac disease is an autoimmune disease, while gluten intolerance is simply a heightened sensitivity to products that include gluten. In fact, there’s an entire notion that gluten intolerance may not be a real thing; rather, people are buying into a gluten-free marketing and food fad. However, celiac disease is a real condition that has been scientifically proven to exist. Can I Undergo Gastric Sleeve Surgery If I Have Celiac Disease? Yes! You can absolutely undergo Gastric Sleeve surgery if you have celiac disease. Many patients who suffer from celiac disease are also morbidly obese and undergo the Gastric Sleeve surgery in order to effectively lose weight and improve their overall health. The revised diet for those who have undergone any type of bariatric surgery is typically gluten-free, meaning that patients who live with celiac disease will still be able to eat a balanced and healthy diet. Can Bariatric Surgery Make Me Gluten Intolerant Or Cause Celiac Disease? There have been some reported cases where patients who have undergone bariatric surgery have developed celiac disease or a gluten intolerance after the procedure. While the exact reason for the condition has yet to be found, some studies suggest that it could be due to the shock to your system from undergoing the surgery. It should be noted with importance that a procedure such as the Gastric Sleeve surgery involves less revision to your digestive tract and intestines compared to other bariatric surgeries. Additionally, as we mentioned above, should you develop a gluten intolerance after undergoing bariatric surgery, it is not likely that you will notice a severe impact on your dietary habits post-surgery because your recommended diet will typically be gluten-free.